Resources and business-to-business services for small and home offices. Find the right business to help your business succeed. How to spot unethical relief scams and make sure your money goes for the purpose you intend, not to line the pockets of criminals. There is a new email "phishing" scam going around, and small business owners should be particularly aware of these types of attempted fraud. Is your business card bringing in business? Here's how to make sure you get the most from your business card. Do you run a small or home-based business? Do you need a business license? Here´s how to get one. Is your messy desk causing mental clutter? Do you have so much to do that you don´t even know where to start? Read this article and regain control now. When you get cabin fever and you work at home, take a field trip to recharge your batteries. Try these five. "It's not what you make; it's what you keep" applies to your small business. Try these tips to see if you can save money on expenses and realize a bigger profit. Eight holiday gift ideas for the small or home business owner on your list. Looking for a place to post freelance work or find your next freelance gig? Check out WhichLance.com, a one stop outsourcing and crowdsourcing marketplace. Whether it´s a late night out, a crying baby or a hectic schedule running your business that leaves you exhausted, these tips will help you survive those over-tired days. Promotional products are a fun and effective way to market your small or home-based business. While you can spend a fortune on one promotional product, for most SOHO owners, a better choice is one or two inexpensive items to represent your company. Read this article for some of my favorites. . .
Small and home-based businesses might seem to have the odds stacked against them when it comes to economic downturns and recessions, but it doesn’t have to be that way. How you can be creative and quick and keep your business during the recession. Confession: I have always had a “thing” for paper and pens. I remember going to the “dime” store when visiting my grandmother and browsing the office supplies aisle. And, now, some (cough, cough) years later, I still love paper and pens. Tense shoulders, stiff neck, achy back, always stressed and on edge? Office Yoga will help you de-stress and in just a minute or two, feel more relaxed. SCORE has a long history of helping small business owners. Their website has valuable information for you. Templates for business plans, accounting worksheets and more. Overwhelmed, overscheduled, overcommitted? Try my Ten Minute Success Solutions to get back on track. Can making small, continuous improvements really make a difference? "The 1% Solution" makes a strong case for improving by just 1%. Can that really work? Use Google Alerts to gather online intelligence on your business. Frustrated by your lack of accomplishment? Overwhelmed by tasks left undone? Here's a simple tool to get you back on track and more productive than ever. 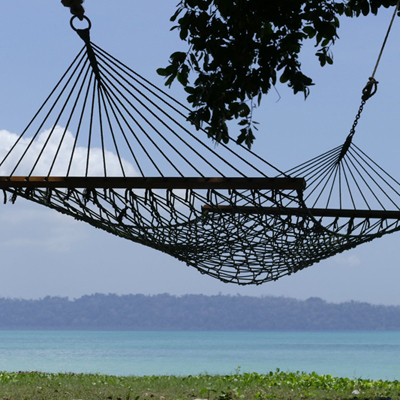 Vacations are often the last thing small business owners think about, much less actually do. Here's how and why you need a break. What is an All-in-One Office Machine ? Do you need a fax, scanner, copier and printer in your small office but barely have room or money for even one of those? Fine out how one inexpensive machine can solve all those problems.